Amazing Spider-Man 2 begins filming! I have only just recently watched The Amazing Spider-Man and confess I very much enjoyed the web slinging, teenage angsty, yet another origin story of Spider-Man. Yes many of the elements were the same as the Tobey Maguire Spider-Man but, in my opinion, done better. I came away from the the film thinking “wow they really did get all the poses in there” and to be honest that is all it takes to please me when it comes to comic character films. So the news that Amazing Spider-Man 2 has begun filming fills me with geek glee. Columbia Pictures has confirmed that the filming has begun in New York. In fact, the entirety of the film is to be shot there, the first time this has happened in the history of the franchise. 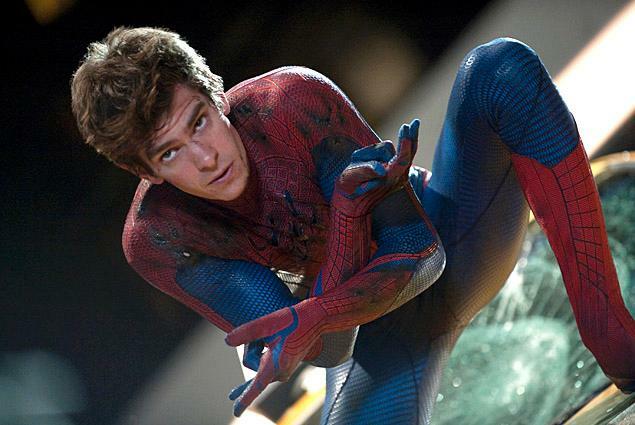 The sequel stars, of course, Andrew Garfield, Emma Stone and Sally Field reprising their roles. Jamie Foxx playing the villain Electro and Paul Giamatti as the villain Rhino. It will be interesting to see how both these characters ‘costumes’ are portrayed given the ridiculous nature of them in the comics. Dane DeHaan will star as Harry Osborn, Peter’s old friend and son of the infamous Norman Osborn. Directed by the appropriately named Marc Webb, the film joins good ol’ Spidey as life gets busy. Graduating High School, taking down bad guys and hanging out with his girl, whose father’s dying wish was that Peter do the exact opposite. Things are going well. Cue Electro and some clue’s uncovered about his parents past and I’m guessing things get hectic and probably a lot more dangerous. The film’s screenplay is written by Alex Kurtzman & Roberto Orci & Jeff Pinkner and is set for release on the May 2nd 2014, in 3D of course. I have my fingers crossed for some kind of shout out the The Avengers, ideally I want Fury to have a little end credit recruiting scene, because let’s face it Spider-Man will make an appearance sooner or later, because he has to.